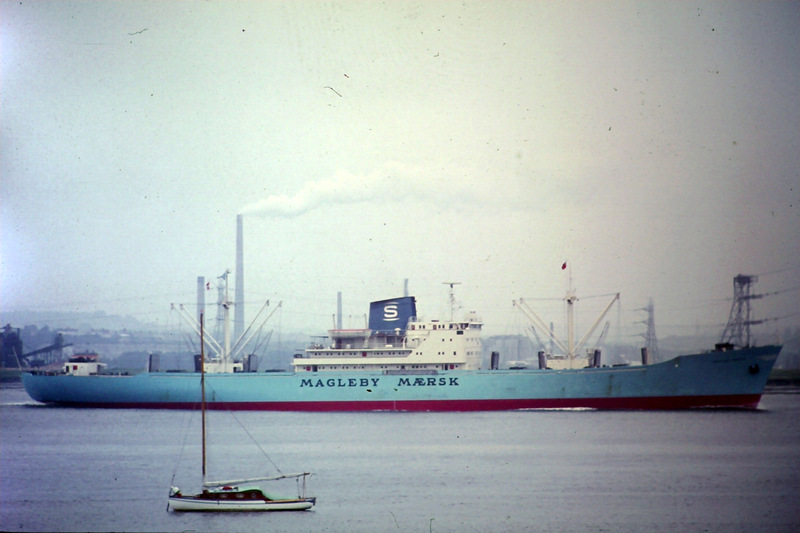 The A P Moller ship MAGLEBY MAERSK in the river in about 1966. She was built in 1964 at 5,926 grt. The current MAGLEBY MAERSK is a triple E at 194,849 grt, somewhat bigger.